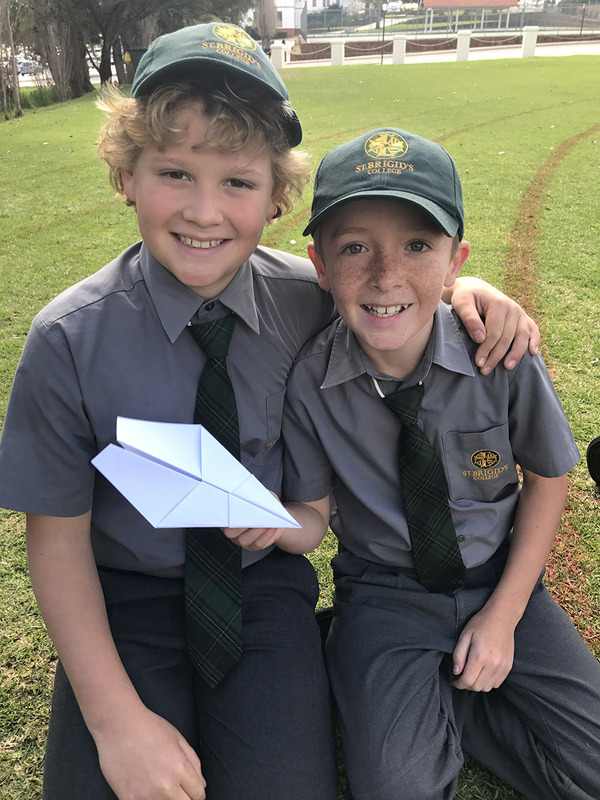 The Junior School at St Brigid’s College is co-educational and caters for students from Pre-Kindergarten through to Year 6. The curriculum nurtures the development of the whole person in a Christ-centred environment firmly based on the Catholic tradition. Children are encouraged to develop independence of thought and to become responsible for their own learning. 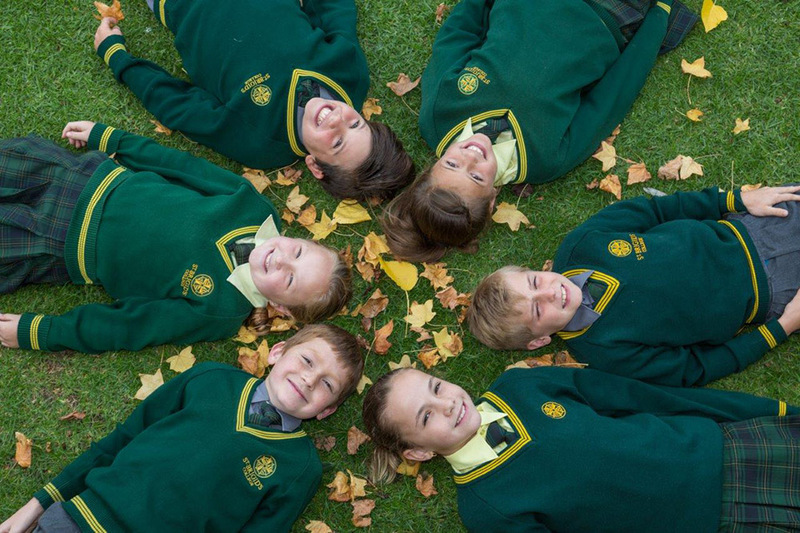 Parents play an active and integral role in all areas of the Junior School. Their involvement and support is essential in providing the best possible education for all students. Students in the Junior School have ready access to educational facilities such as science laboratories, computer laboratories, the Performing Arts Centre, the swimming pool, tennis courts, ovals and the gymnasium. Students in Years 1-6 are part of the 1:1 iPad programme and all classrooms are equipped with digital technologies. 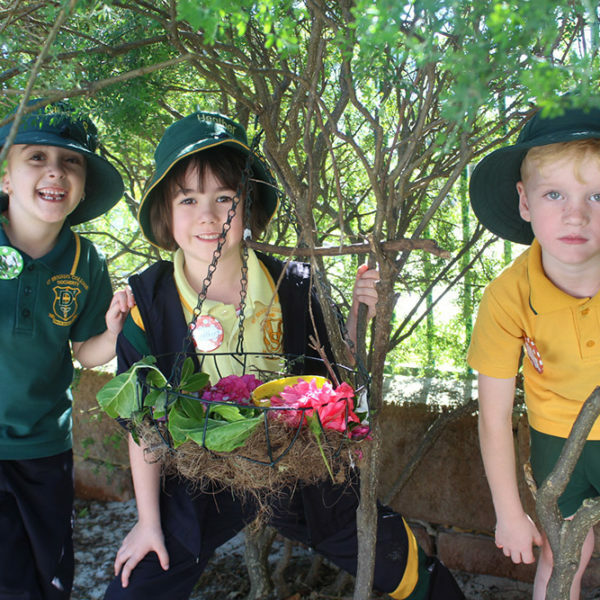 St Brigid’s College resides in a beautiful hills landscape and recently teachers have implemented a Bush School Programme into the Early Years. 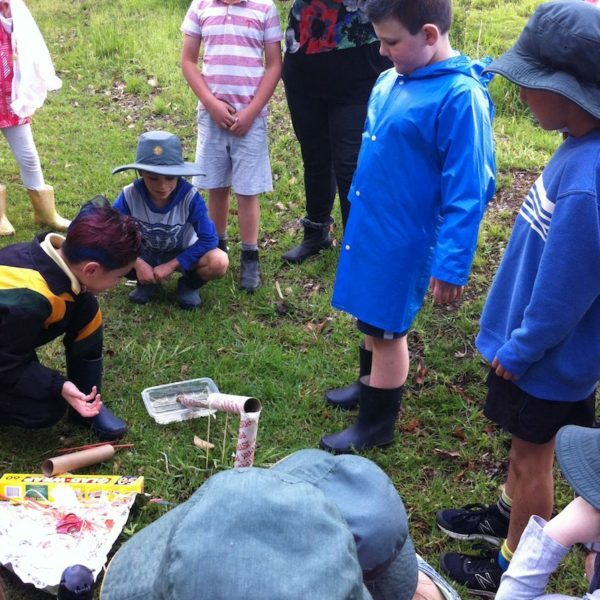 The programme aims to engage students in nature play experiences and Bush School experiences offer meaningful, open-ended interactions to occur between children and the natural world around them. 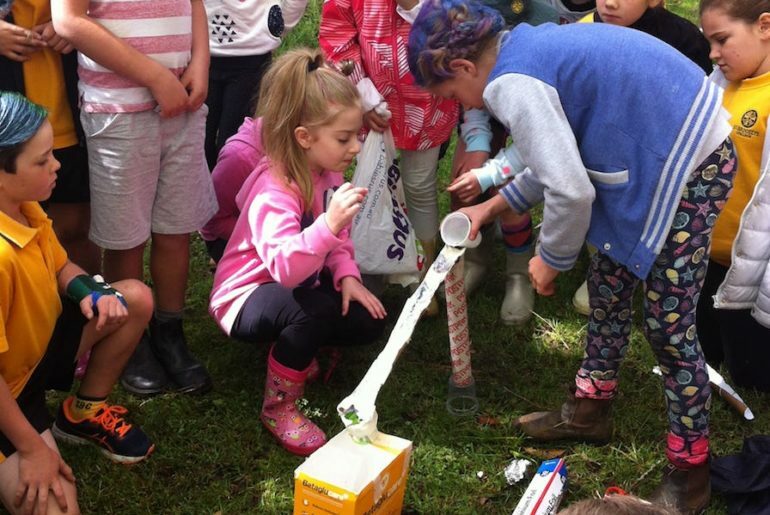 Bush School learning experiences develop children’s inquiry, exploration, and discovery through an authentic connection to nature. 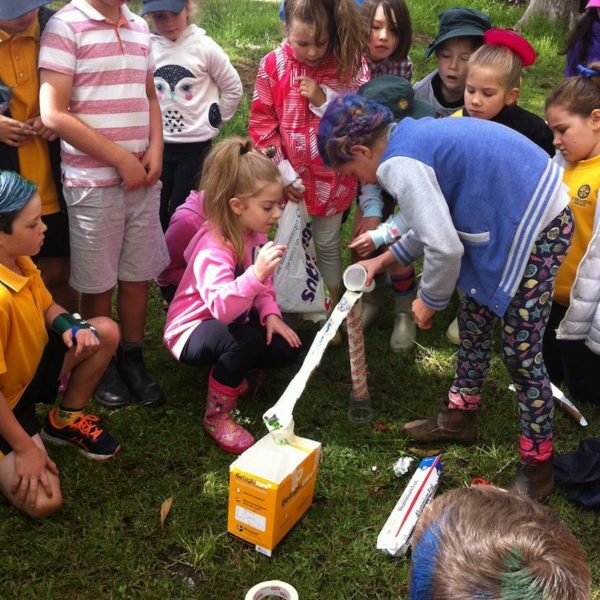 Bush School fosters an appreciation of the natural environment, develops environmental awareness and provides a platform for ongoing environmental education. 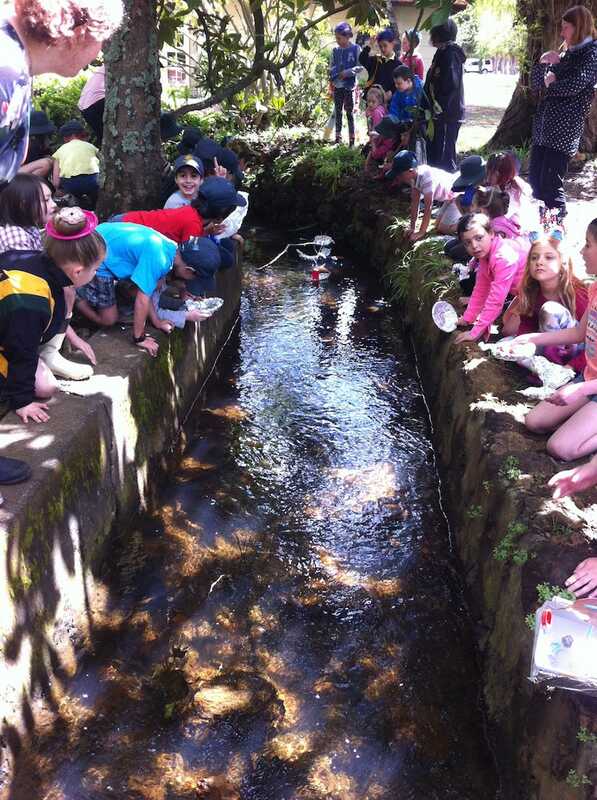 Our Inquiry Approach and beautiful environmental setting means that classroom teachers can implement learning experiences that develop practices to promote sustainability and conservation. Students will have the opportunity to develop skills such as safe tool use, adhering to boundaries, caring for animals, fruit bearing trees and running creeks. Through these Bush School learning experiences, students develop attitudes of respect, curiosity, wonder and awe of the natural world around them. 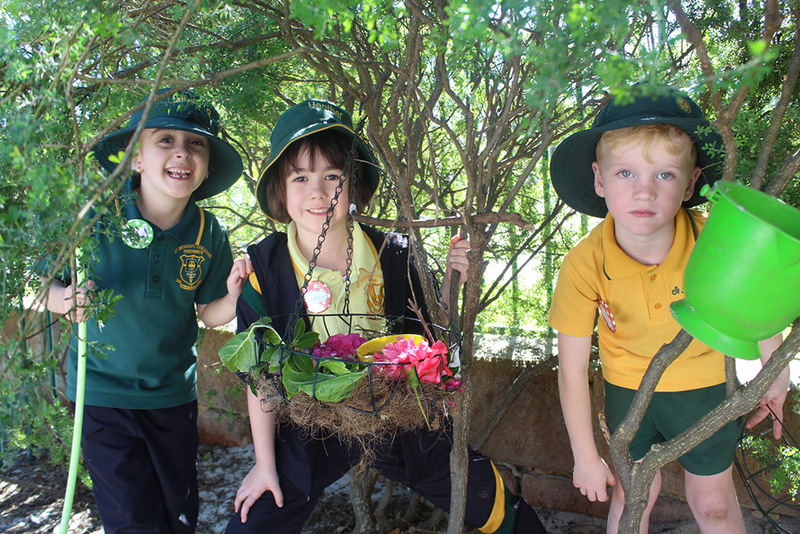 Religious Education is the first learning area at St Brigid’s College. It focuses on the knowledge and understanding of the Gospel as it is handed on by the Catholic Church to those who follow Christ in today’s world. The content and processes of the learning area are intended to ensure that students, through a process of cultural, systematic and critical reflection learn the teachings of the Gospels and understand what it means to be a Christian and how Christians live their lives. Religious Education at St Brigid’s College follows the Perth Archdiocese Religious Education Units of Work. These cover a range of concepts and topics in a progressive and developmental manner. All students participate in daily Religious Education lessons and within each class there is designated Prayer Area with a focus on daily prayer and reflection. Students partake in regular Liturgies and Class Masses where they have the opportunity to receive the Sacraments of Penance and First Eucharist. Liturgical Feast days are also celebrated within the College and with the wider community. In Three and Four Year Old Kindergarten, the Religious Education is woven throughout the day in the form of prayer, God talk and biblical storytelling. The aim of the RE program at this level is to introduce students to the person of Jesus and some of the basic teachings of the Church (eg. how to make the Sign of the Cross, to love one another). Our Early Learning Centre offers an environment, catering for three to six-year-old children within a larger school setting. We aim to create a safe, supportive, nurturing and stimulating learning environment. This consolidates and extends the children’s interests and skills enabling them to develop the dispositions to be life-long learners. We acknowledge that the early years plays a significant role in laying the foundations for continued success in learning. As educators, we hold a strong commitment to world’s best practice and implement a curriculum that reflects the Kath Walker Inquiry Approach, Reggio Emilia Philosophy, the Early Years Learning Framework and the National Quality Standards within the framework of the Primary Years Programme. Through our practice, we also recognise the United Nations Convention on the Rights of the Child and the Early Childhood Australia Code of Ethics. Our approach to early childhood education is shaped by our image of the child as a competent and capable individual who is rich in potential. We recognise that children possess a wealth of experience, knowledge and understanding. This is reflected in our commitment to allow children to take an active role in their learning through units of inquiry and project work. 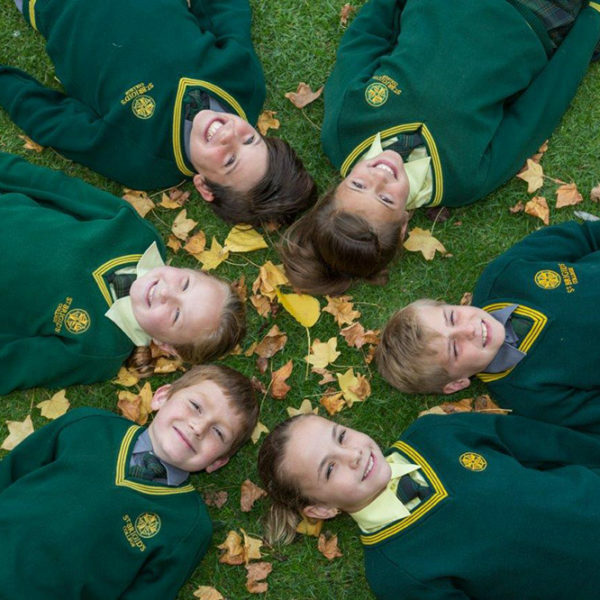 At St Brigid’s, our intention is for each child to develop a strong sense of identity and the confidence and skills needed to make meaning of, and to shape their world. Through active listening, observation and a close working relationship involving children, parents and fellow educators we are committed to uncovering how each child perceives his or her world, enabling us to build on their level of understanding. With our play based approach we offer children the opportunity and the time to play; to discover and explore; to question and predict; to revisit and reflect; to wonder; to imagine and to dream. This is also achieved through a carefully considered balance between the intentional and emergent curriculum. In addition, we fully embrace our beautiful natural surrounds in our unique Bush School Programme. 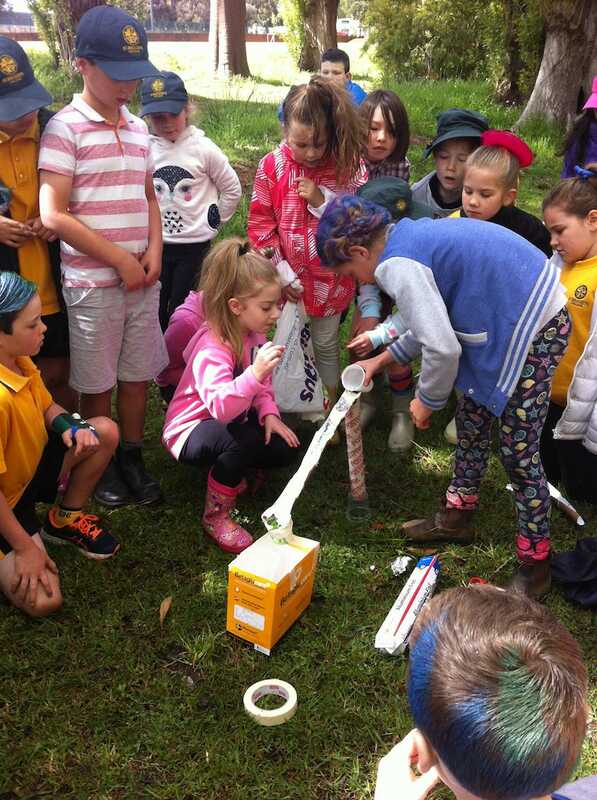 Students spend the day outdoors where they can be noisy, messy and use all their senses to engage in rich learning experiences. The two day Three-Year-Old Programme at St Brigid’s recognises the importance of quality early learning and the learning programme has been developed with an emphasis on the whole child and the interrelationship between mind, body and spirit. This holistic approach highlights the children’s physical, personal, social, emotional and spiritual well-being as well as cognitive aspects of learning. Learning is a social and collaborative activity and takes place when strong relationships are developed between children, families and communities. Strong connections are also made to the natural world in understanding and respecting the natural environment and the interdependence between people, plants, animals and the land. At St Brigid’s we recognise that children are constantly learning from conception and develop in their own time and at their own pace. We understand that all children are strong, competent and unique and programmes have been developed to enhance them as creative and independent thinkers, great problem solvers and communicators who learn to grow through provocations and play. The Three-Year-Old Programme is an inclusive, fun filled and dynamic programme for the early years providing a genuine education and care choice for families in an inviting and nurturing environment. 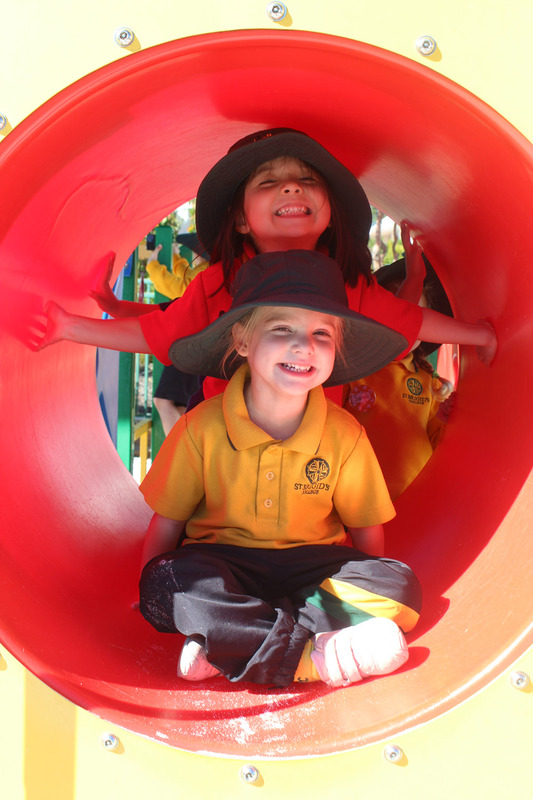 In Kindergarten, there is an emphasis on social development and the chance to freely explore and experience a variety of materials, equipment and activities. 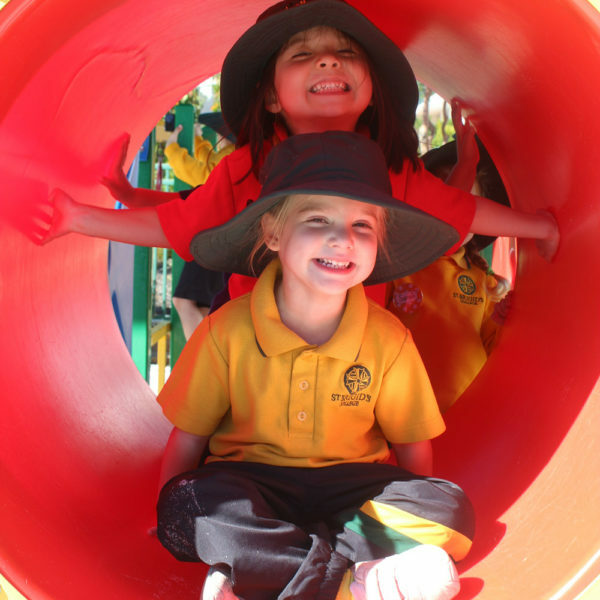 The Kindy curriculum spread over three days, is diverse and takes into account the children’s prior experience and builds on their current knowledge. Activities are designed to be ‘hands on’ and fun. They include skills which may encourage your child to be able to talk about things that interest them; draw pictures; pretend to write; recognise colours, numbers, sizes and shapes; and share with others. We believe that each child is a precious and unique gift from God. The children are encouraged to explore, discover and grow and develop their own special gifts and talents. It is our priority to affirm every child and work with parents and families to develop each child’s potential, self-esteem and confidence. Pre-Primary builds on the experience of Kindergarten. It is the first year of compulsory full time education. 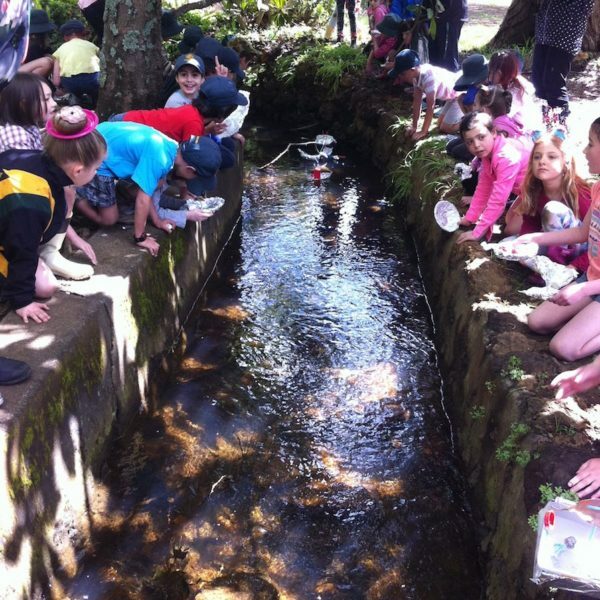 The programme ensures that the children are actively engaged in exploring, investigating, thinking and communicating. The individual progress of each child is carefully monitored. Children interact with one another through learning centres which provide a happy, supportive environment where curiosity and inquiry is fostered. Throughout each day opportunities are provided for the children to work both collaboratively and independently. In Pre-Primary, spiritual growth is nurtured through the religious Education Programme and incidentally each day. As in Kindergarten, the curriculum is extended through specialist teachers who introduce the children to Music, Italian, Library studies and Physical and Health Education. Through structured interaction with older students across the campus, the children of Pre-Primary are given a sense of belonging and learn to build positive relationships with others. In Pre-Primary the students learn to develop an enjoyment of learning and an appreciation and awareness of the world around them. These experiences provide a firm foundation for their future education. Parents and families are always welcome at our Early Learning Centre. Our ‘open-door’ policy encourages parents to visit the Centre to discuss their child’s progress. Parent Information Evenings are held to provide opportunities for discussion of various aspects of early childhood development and education. These consolidate the vital links between the home and the Centre. The benefits of a mutually supportive relationship between the home and the Centre cannot be over-emphasised, as children develop confidence and healthy understanding of themselves and others in a social context which respects and recognises individual differences. Celebrating a Sacrament for the first time is an important step in the life of a Catholic child. Preparation for the Sacraments is a partnership between the family, parish and school. Whilst preparation for these Sacraments is school based, there is an expectation that parents play an active part in this preparation by attending Sacramental information nights, commitment masses and Sacramental workshops. Catholic schools assist parishes in their responsibilities to parents by providing the knowledge and understanding of the Catholic faith, including knowledge about the Sacraments. Music (vocal and instrumental), Physical Education, Italian, Information Technology, Library and Visual and Media Arts programmes are provided by specialist teachers in fully equipped facilities. Children also have the opportunity to take part in a range of extra-curricular activities. St Brigid’s College teaches the Western Australian curriculum, as is a requirement of all educational institutions in the state. Staff at the College teach this content through the Primary Years Programme (PYP) framework. This approach allows students and staff to address the curriculum requirements of the West Australian SCSA (School Curriculum and Standards Authority). The mandated skills and content from each subject area are mapped against the units of inquiry for a given year. Standards established by SCSA are also used to measure a student’s progress in a subject area. 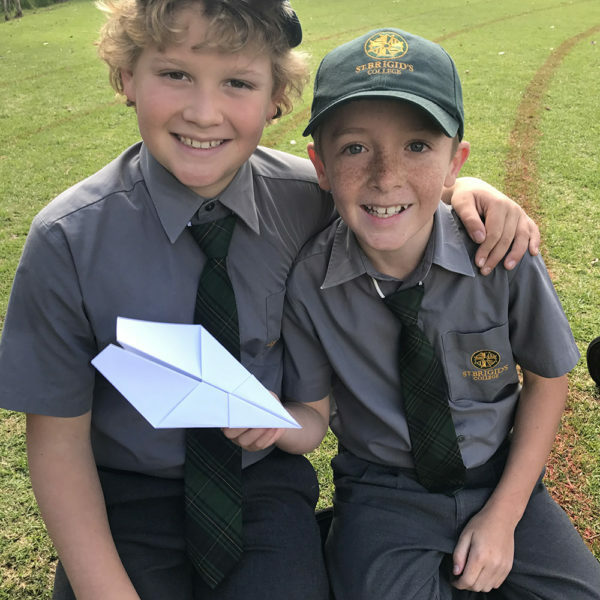 Students at St Brigid’s College in the Junior School, therefore, are taught a wide breadth of subjects, each linked together to provide an engaging curriculum. 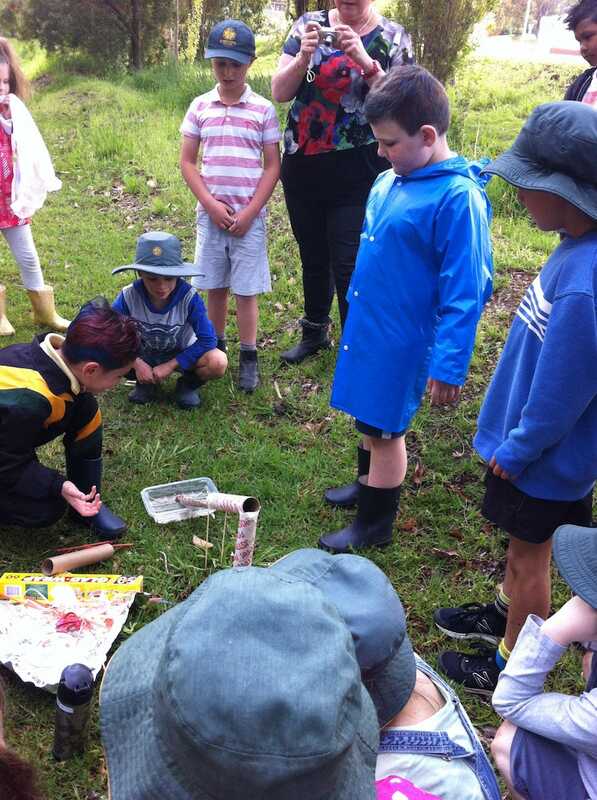 Due to the transdisciplinary nature of the POI, requirements for the West Australian SCSA and Australian Curriculum, Assessment and Reporting Authority (ACARA) are embedded within each unit of inquiry. The culmination of the PYP is the Exhibition, held each year by Year 6 students. Please refer to the eHandbook for more information. Visit the Primary Years Programme page for more information. The Learning Differences Team consists of specialist teachers who work closely with the classroom teachers to ensure that each child’s needs are met. It is very important for parents to share information about their child’s special needs with College staff so that intervention and assistance can begin as early as possible. Testing for all students takes place at the beginning of each new year and suitable programmes are prepared. The Learning Differences teacher may construct individual learning programs for students with significant difficulties. Support is offered to students within a classroom setting and at times students are withdrawn for high intensity small group work. The team also provides opportunities for students to engage in extra challenging activities and extension through excellent programmes such as Robotics, Opti-MINDS, First Lego League, the STEM Challenge, the da Vinci Decathlon and various state and national competitions. The aim of the College Awards is to recognise students’ exemplary contributions, endeavours and/or high achievements in school life or while representing St Brigid’s College. The Spirit of Mercy Award recognises students who consistently makes a positive contribution to our school community and always gives his/ her best to live our Mercy values of compassion, justice, respect, hospitality, courage and service. The recipient of the Spirit of Mercy Award is a student who is recognised as quietly going about being a person who is authentically “mercy”. They are always prepared to contribute to working for a “fairer world”. They face the challenges of learning with resilience and optimism, always seeking excellence. The recipient of the Spirit of Mercy Award always welcomes others into our community. The recipient walks in the footsteps of our foundress Catherine McAuley. The spirit of Mercy Award is presented to one student from each Year group at a K-12 Assembly in the final week of term. Provided ongoing service to the College Community as required in their chosen field of endeavour. The da Vinci Decathlon is an academic competition designed to challenge and stimulate the minds of school students. 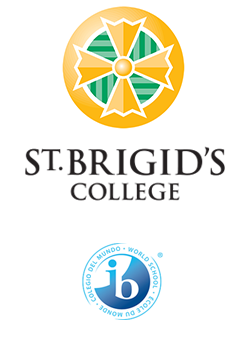 Students compete in teams of eight across 10 disciplines including engineering, mathematics, code breaking, art and poetry, science and english. Children from Years 5 and 6 who enjoy creativity, problem solving and lateral thinking type activities are encouraged to apply. The Robotics programme is highly engaging; with hands-on, problem-solving activities that perfectly suit the inquiry based learning focus of the International Baccalaureate Primary Years Programme. EV3 Mindstorm kits have given us the capability of offering Robotics from Years 3 to 6 to integrate into the curriculum through the Units of Inquiry. Through this programme all students have learnt how to problem solve, build and programme robots to meet specific challenges set by teachers. Our younger students in Years 1 and 2 have access to Lego Simple Machines kits and are introduced to simple mechanics of wheels, axles, gears, levers and pulleys it is a highly motivating programme. Our Robotics extra-curricular programmes have become more focussed on building and training teams for competitions such as RoboCup Junior and First Lego League. RoboCup Junior Australia is a project-oriented educational initiative that supports local, regional and international robotic events for young students. Students can compete in areas such as Soccer, Dance and Rescue. The students work together and solve challenges as a team. First Lego League is a challenge focused problem-solving competition that requires teams of 10 students between the ages of 9 and 16 years to solve a variety of challenges using robots, technological thinking, science and teamwork. St Brigid’s College placed favourably in this competition in 2016 and was rewarded with a qualification in the National Championship. We value the input of all ages in these teams and seek to select teams with a wide representation of ages. St Brigid’s College is committed to fully embedding the newly published WA K-10 Curriculum into the current units of inquiry. Students will learn about concepts such as Computational Thinking, Coding, Design and Construction, Project Management and Project Evaluation as a natural course of action within everything they do. We believe this model mimics the procedures of everyday life and enables students to become more competent inquirers. Rad Readers is an amazing initiative at the College that aims to assist students in the Junior School to receive additional opportunities to read aloud to an audience. Secondary students from Years 7 to 11 volunteer their time to support the children and listen to their reading. Reading aloud is beneficial to a child’s reading development. It can help students to develop fluency and strengthen comprehension skills as well as improve critical reading skills. Rad Readers has been instrumental in improving the confidence of young readers and promoting a genuine enjoyment for reading. Rad Readers is held in the Junior School three times a week; Tuesdays and Thursdays from 8.15 am to 8.30 am. The Junior School children bring their own books, as selected by their teachers, and are paired up with a secondary girl for reading. Teachers supervise the sessions and assist students with their reading.